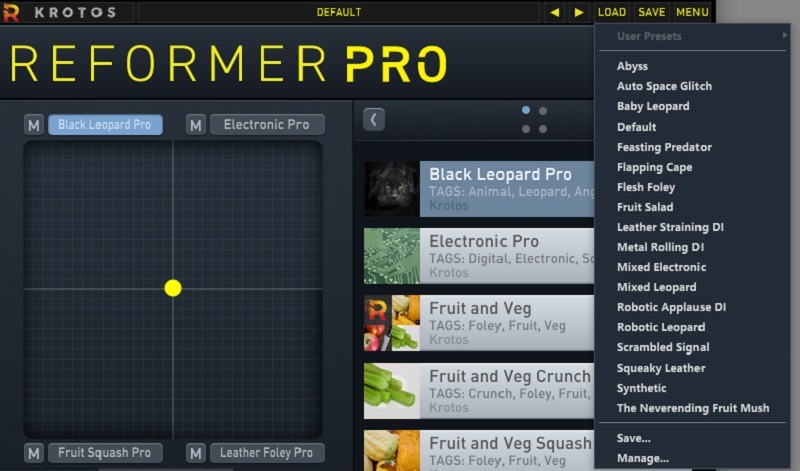 Production Expert | Krotos Audio Reformer Pro - Will It Transform Your Sound Design Workflow? Krotos Audio Reformer Pro - Will It Transform Your Sound Design Workflow? Many times, I've been in a mix or a sound design session and we've reached an impasse. No matter what we do to the sound, it doesn't match with what the director has in their head. Most of the time, the discussion reverts to the director "performing" the sound, then asking us, "Can you make it like that?" Reformer Pro by Krotos Audio, promises to change all this by bringing live performance back to sound design. What Do Krotos Audio Say About Reformer Pro? Analyse sound libraries with our Analysis Tool. Perform impacts and add extra definition using our unique Transient Engine. Big claims indeed. Can Reformer Pro, with the Reformer Libraries, Transform Your Sound Design Workflow? I went to see top Sound Engineer Ric De Mowbray at his SoundTown facility in Bristol, to find out. How Can You Use Reformer Pro To Transform Your Sound Design Workflow? Reformer Pro has several sections allowing you to deeply manipulate either your own sounds or one of the Krotos Library Bundles. As with a lot of plugins, you could a lot worse than start with the presets. You can load each library and audition all its component parts. As your input triggers the four banks, depending on where you point the X-Y control, different parts of the library get triggered, according to the nature of your input, be it live or as an insert on a recorded track. In a way this part operates in a similar manner to Weaponiser, also by Krotos. This is fantastic for sound editors like myself, who can find themselves suffering “sound editor’s block”. Where Reformer Pro really scores over traditional sample triggering techniques is the unique way that you can input your performance in more ways than one. Reformer Pro’s headline feature is the ability to perform your sound design live. However, just concentrating on that aspect would be to do this plug-in a huge dis-service. You are able to fully control and importantly, automate, every aspect - through the sliders shown above, or with the X-Y pad. You can also assign various functions to MIDI inputs, which of course you can also record and edit afterwards, further tailoring your performance. Krotos really does put the world of sound design at your fingertips, in addition to the live Dynamic Input. When you combine this interface with a multi-point touch screen, such as a Slate Raven and a MIDI device, the options become endless and the visual feedback from the circular display all helps you understand what is getting triggered by which nature of sound input. Both Ric and I really like Reformer Pro. For me, it’s the chance to get inspired to do absolutely unique sound-design - there’s nothing as unique as a live performance - it’s what separates normal foley libraries and samplers from having a real-life foley artist. For both of us, it’s the ability to further refine your performance after it’s been performed and the sheer scale of manipulation that’s possible. For Ric in particular, having such a tactile interface and combining it with a touch screen has meant increased levels of artistic collaboration with directors and other sound designers. Krotos have a history of presenting sound-design tools in a way that inspires and innovates, plus they also curate an enormous resource of sound libraries, so you’ll never run out of something new to try. Personally, my workflow would not involve capturing Reformer Pro’s output live, but to capture the raw signal and record all the automation applied to Reformer during the recording. That way you have the most flexibility in post. I’m not going to do a traditional Pro’s vs Cons list, as the Pro’s would absolutely dominate. Our only slight misgiving was that in order to get a stepping stone into this wonderful world of live dynamic input sound-design, you really have to have one of the sound effect library bundles, which does somewhat increase the price. However, if you already have an established sound effects library of your own, Krotos provide a great tool for importing your own into Reformer Pro. So back to the original question which triggered this test “Can Reformer Pro really transform your sound design workflow?” In a word, yes. Especially if you work in a field that’s saturated with sound-design cliches, it’s great to be able to produce truly unique sound-design, in a way that really integrates other disciplines into the process. Reformer Pro by Krotos Audio, is available as an AAX, AU and VST plug-in priced at £334.80 with the sound effect libraries start at £12. The Krotos Bundle as used in this review is £358.80 (all prices listed include UK VAT).